Hey all, it's time once again for FingerFood's Theme Buffet! 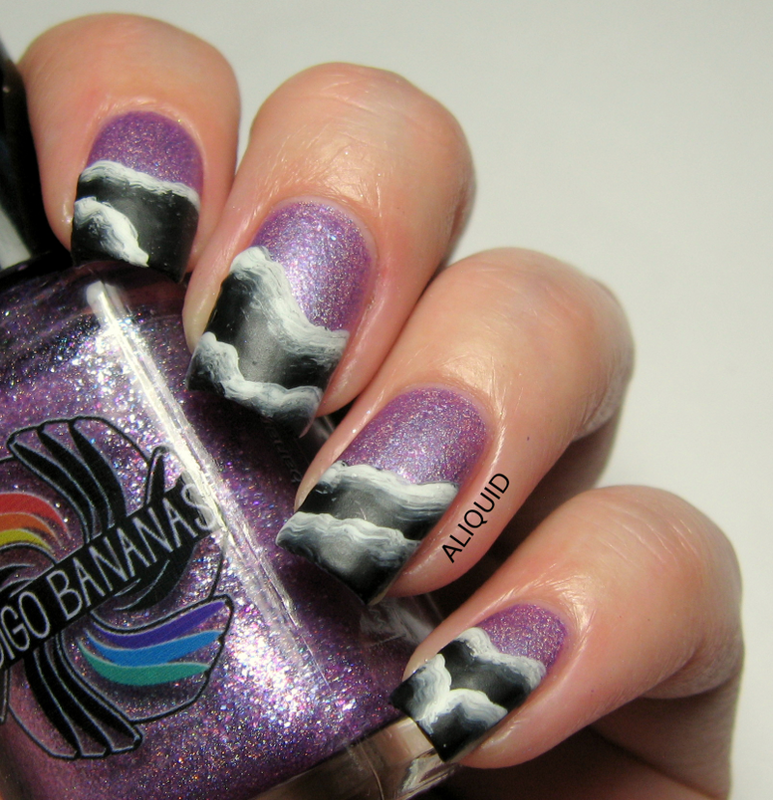 This week's theme is abstract nail art. I decided to make a second try at one-stroke art; I based my pattern on this golden veil design by Lucy's Stash. I'm not sure if I like the result--I had a hard time getting the colors to blend properly. I started with a base of Indigo Bananas Wise Up, Janet!, a lovely lavender holographic glass fleck. I did the one-stroke parts with acrylic paint. Finally I added Revlon matte top coat. I need to keep practicing one-stroke art! There are so many beautiful designs you can do with it (many at Lucy's Stash!). This is super interesting, I especially like your pinky. The combo of sparkle with flat paint is very intriguing.